Welcome - you can login or create an account. This is the last scope lens flip cover you will ever need! 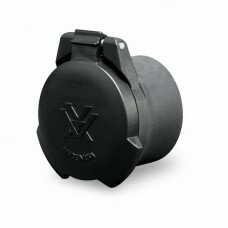 Virtually indestructable, this cap will fit snugly on to nearly all Vortex and other scope brands in the market. The cap features a snap flat spring that will keep you line of sight unobstructed. Please measure your outside scope diameter before ordering - if in doubt call us for futher advice. - NO RECEIPT NEEDED TO HANG ON TO.